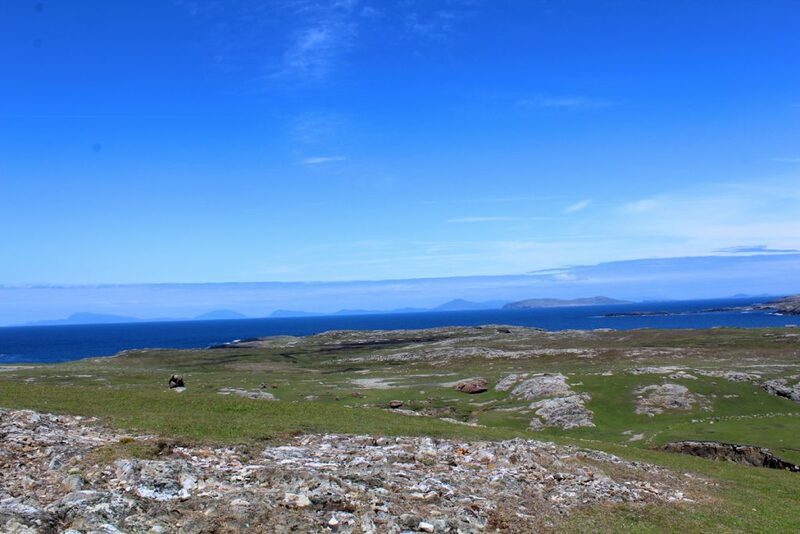 A feature of many of the sea views in the Cleggan and Claddaghduff area is the distinctive silhouette of Inishbofin Island. 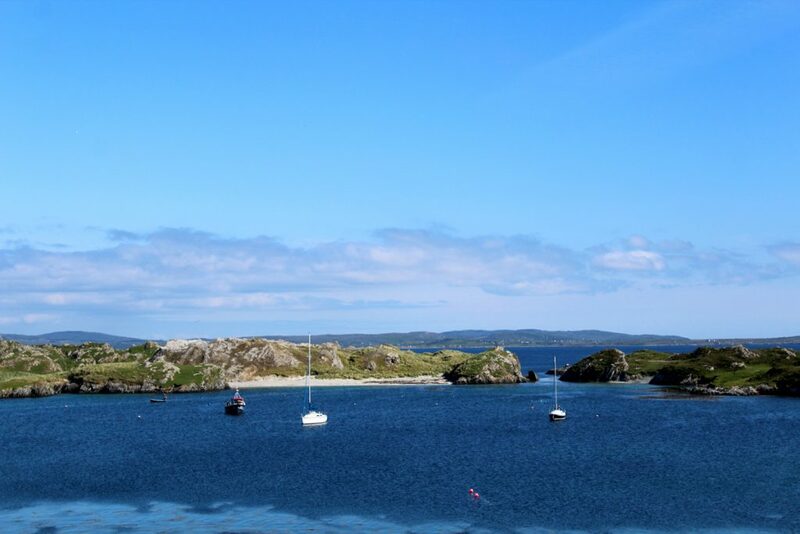 Lying about seven miles off the coast a visit to this beautiful island can be a highlight of a holiday in Connemara. 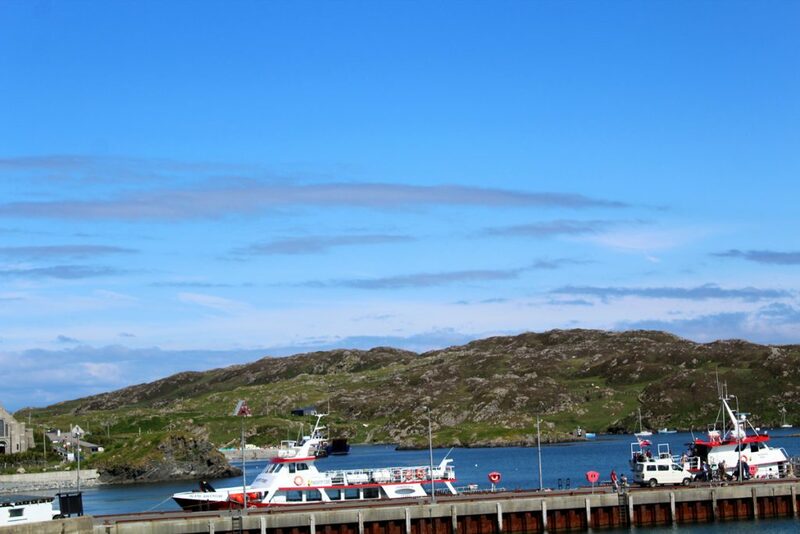 Ferries leave from Cleggan Pier twice a day in the summer season, and tickets can be booked online here http://inishbofinislanddiscovery.com/. 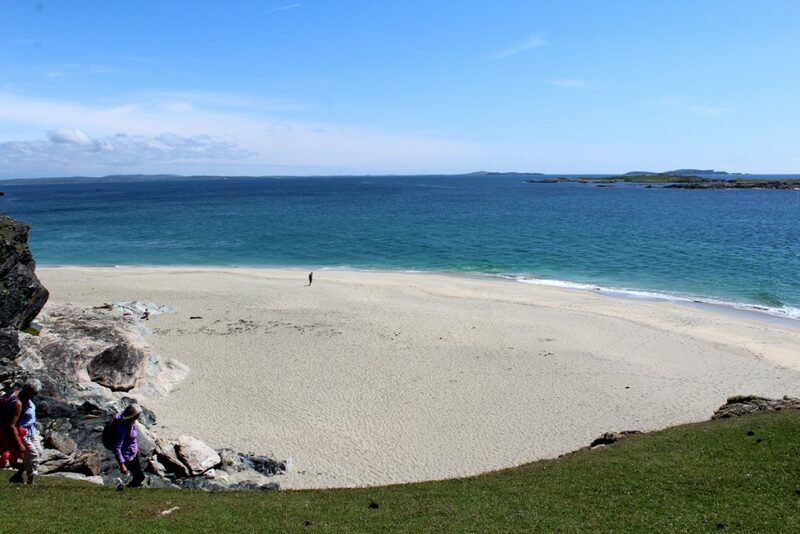 In the mid 1800’s as many as 1400 people lived on the island but now the full time population is about 160, a number that increases considerably during the summer months. 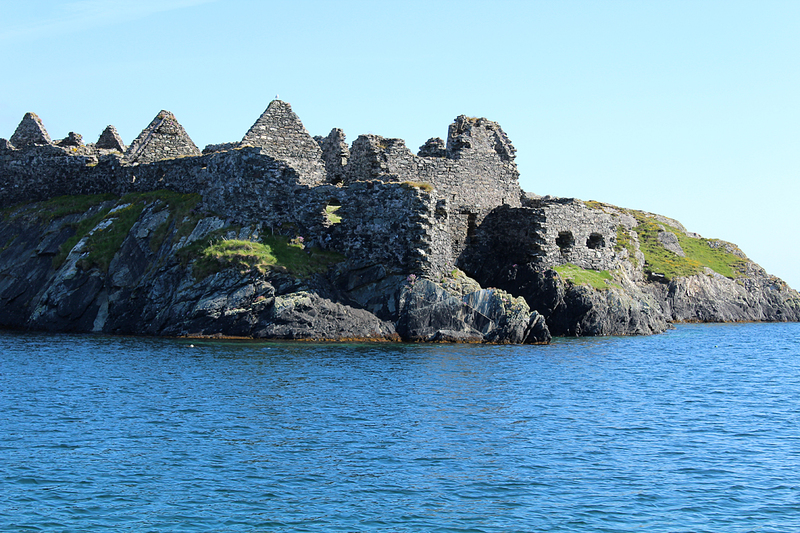 There is a very interesting mix of vibrant modern culture and a history that stretches back for thousands of years. 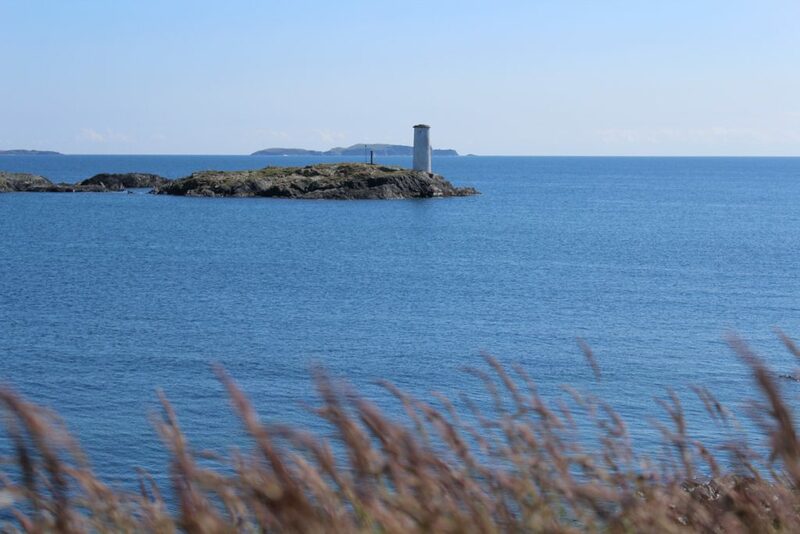 There is little traffic and few roads, and once the bustle of the ferry arriving has died down the Island is tranquil and relaxed, ideally suited to a day’s hiking around the island enjoying the views and beaches. 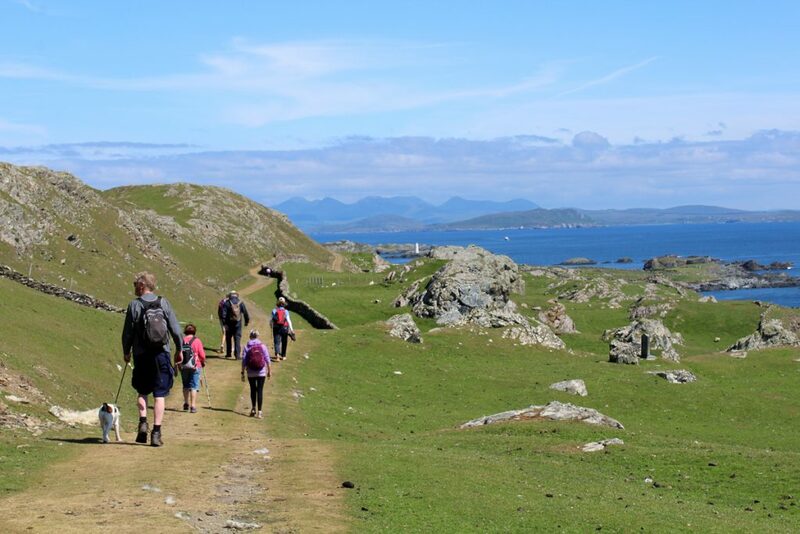 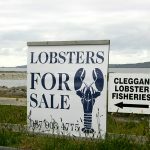 There are three established circular walks, the routes of which are to be found here http://www.inishbofin.com/walking-loops/ and there are some great things to see such as the cliffs on the West side of the island, the “Stags of Bofin” rock columns rising out of the Atlantic and the pirate queen Granuailles castle overlooking the harbour entrance. 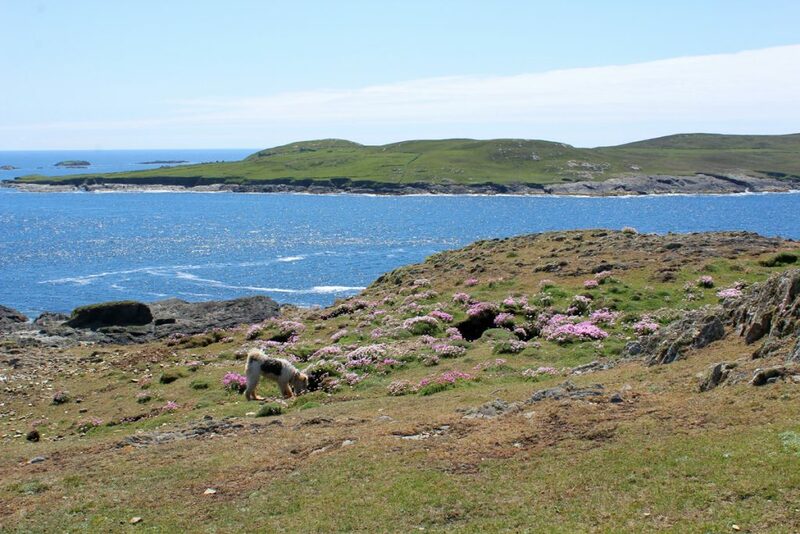 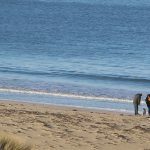 There is a wealth of wildlife on the Island, with a colony of seals and many seabirds, particularly in the spring when the Corncrake can also be heard calling from the marshy fields on the east end of the Island. 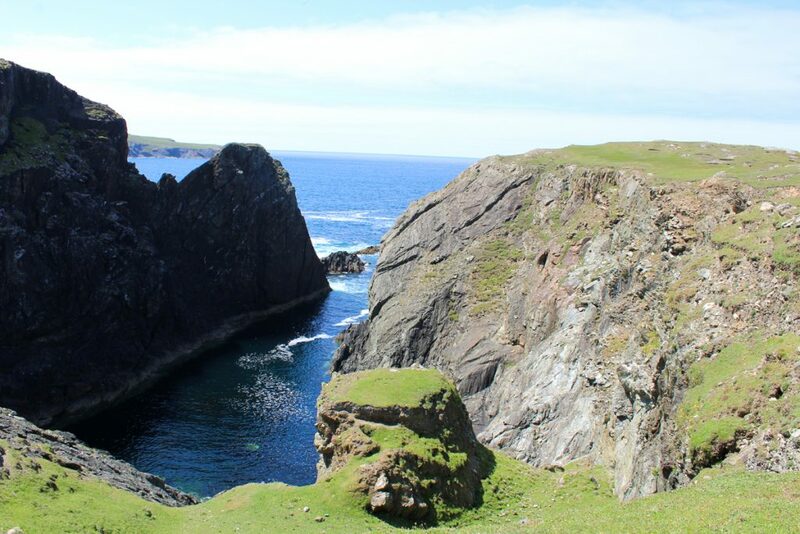 Given a good pair of binoculars and some patience dolphins and the odd whale have been seen from the steep cliffs of the North part of the Island. 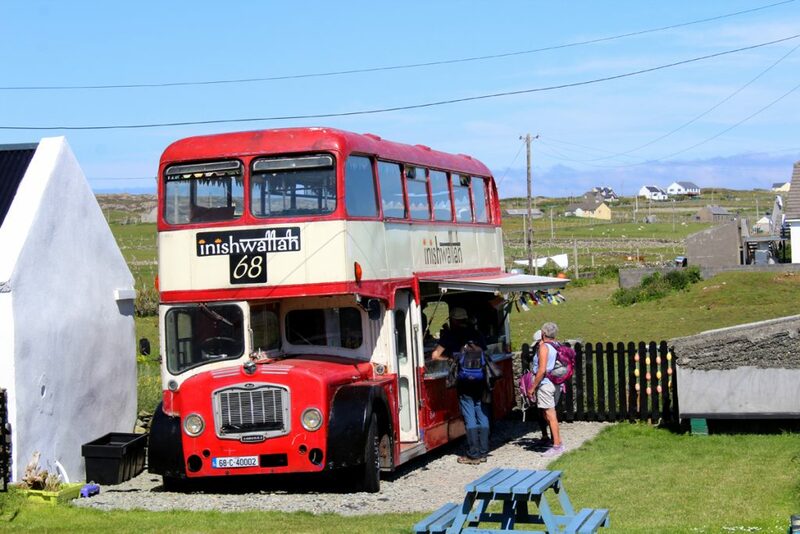 Once you have finished your walk there are a number of places you can stop for a bite to eat or a drink while waiting for the ferry to arrive, beware that if you miss the ferry you are there for the night!